The Harlin Museum, along with the show’s sponsor, SMS Technologies, invites artists to enter our 2019 Digital Art Show Competition, titled “ANother WorLD,” on display at the museum, March 1st – 24th. Entry Dates: February 22nd & 23rd, 2019. Entries should be brought to the Harlin Museum between 12 pm – 4 pm on either day. Entry Fees: $10.00 for 1, $15.00 for 2, $20.00 for 3, & $25.00 for 4; you may enter a 5th piece for free. Guidelines: Entries will be separated into 1 of 2 categories (Still Art or Animated Art), and submissions must be either in print (Still Art) or in a system-compatible digital format (Windows) via external drive or email (Animated Art) to v.martin@harlinmuseum.com. All submissions must be the original work of the artist entering and must not have been previously exhibited at the Harlin Museum. Awards: Prizes will be awarded at the Awards Reception on the show’s closing day, which is Sunday, March 24th at 2 pm. There will also be an Artist’s Meet & Greet the same day with refreshments served from 1pm-3pm, after which, all artwork will be released for pick up. Prizes will be awarded in each category out to 3rd place, with the Best of Show honoree winning $100.00, and then the 1st, 2nd, & 3rd place winners will receive $75.00, $50.00, & $25.00 respectively. Sales Commissions: Artists may offer their artwork for sale for the duration of the show. The museum receives a 20% commission on all sales made during this time; the artist receives the other 80%. All entry fees, sales commissions, and donation proceeds go to the maintenance and renovation of the Harlin Museum and the support of its many arts programs. 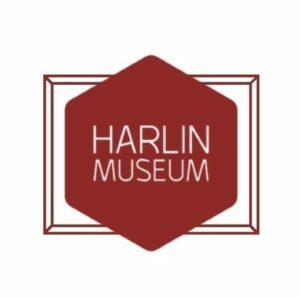 The museum is supported entirely by community donations and volunteer staff and its programs are organized by the Harlin Museum Board.